Google’s (or is it Alphabet’s? Google Is Now Part Of...Alphabet? What You Need To Know Google Is Now Part Of...Alphabet? What You Need To Know Google, the Internet giant, is turning into Alphabet. Here's what that means for you. Read More ) moto is “Don’t be evil”. For the most part, they’re pretty benign. But what if they weren’t? 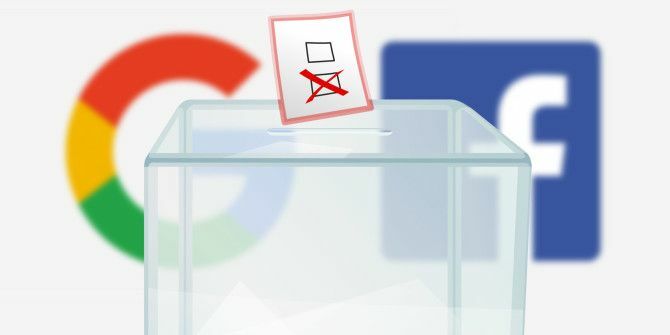 What if Google – or any major, powerful tech company for that matter – were capricious and malevolent, and wanted to change the course of an election for their own financial benefit? What if they wanted to undermine our elections, and possibly even wrest control over our democracy? Well, here’s how they might do that. Hypothetically. Google: You Searched For “Bernie Sanders”. Did You Mean “Jeb Bush”? When you search Google, your query is passed into an algorithm that is as complex as it is opaque. Nobody outside of Google really knows how it works, and those who say they do are lying. But we place a lot of trust in it. Almost 70% of all search queries go through it, and on face value we trust the results we get are fair, accurate and reliable. This reputation is why Google is the most used search engine A Brief History of Search and How Google Came Out on Top A Brief History of Search and How Google Came Out on Top After a half dozen (or more) unsuccessful attempts over the years to find a better alternative, it led me to try and decipher what makes Google better than competitors in this space. Read More , save for in Russia and China. But what if Google was just as willing as they are able to interfere with search results, purely for their own political agenda. What if they showed negative stories for some candidates, and positive stories for another? There’s evidence that shows that could swing people’s decision process. A recent study by Robert Epstein, a psychologist at the American Institute for Behavioral Research and Technology took three groups, and provided them with a mock-search engine that returned results about the 2010 Australian general election. One group was shown overwhelmingly positive stories about Julia Gillard, the Labor candidate. Another one was shown overwhelmingly positive stories about Tony Abbot, the Liberal-National Coalition candidate. The control group was shown a combination of positive and negative stories. The results were stark. Those who had seen the negative stories were 48% more likely to vote for that candidate, despite their previous political bias. This is just one example of a stealthy, surreptitious way in which Google could influence how we behave in the polling booth – if they wanted to. 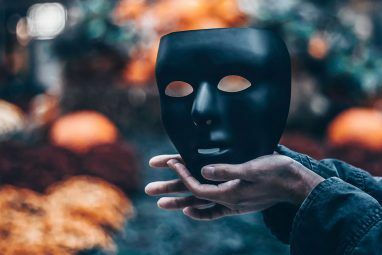 Another system we implicitly trust is the anti-spam filtering technnology, built into Gmail, Outlook, Yahoo Mail, and others. But much like the Google search algorithm, we don’t know how it determines what it considers to be spam, and what isn’t. These algorithms were built and are maintained in secrecy. So, what would happen if one day, Gmail started putting emails from your chosen candidate into your spam folder, which most people are unlikely to check on a regular basis? Would you notice? Would you be likely to be a less informed voter? Would you miss campaign rallies, and requests for donations? Google probably knows you better than your parents do How Much Does Google Really Know About You? How Much Does Google Really Know About You? Google is no champion of user privacy, but you might be surprised just how much they know. Read More . It sounds like hyperbole, but it’s true. Through their browser, search engine, email service and advertising network, they know a lot about you as a person What Does Google Know About You? Find Out and Manage Your Privacy and Security What Does Google Know About You? Find Out and Manage Your Privacy and Security For the first time, search giant Google is offering a way for you to check the information it has about you, how it is gathering that data, and new tools to start reclaiming your privacy. Read More . They know your personal interests and passions. Your sexual inclinations, and your political outlooks. Through Android, they know where you live, and where you like to spend your time. With Google Pay, they even know what you spend your money on. So, with that in mind, they can probably make a guess as to where you sit politically. If you spend all of your time reading Daily Kos and The Guardian, and subscribe to Bernie Sanders’s email newsletter, they can probably assume you’re likely to vote for Sanders. But if you’re constantly reading The Drudge Report and Fox News, and follow @RealDonaldTrump (who is all your fault Clicking Consequences: Why Donald Trump Is Your Fault Clicking Consequences: Why Donald Trump Is Your Fault Every time you click an article about Donald Trump, the media thinks that is what you want to read, and so it spends more time talking about Trump. Stop clicking! Read More , by the way) on Twitter, they could likely deduce you plan to give The Donald your vote. So, what would happen if they one election day they decided to remind Democrats to vote, or Republicans to vote? That would probably help turnout for one side or the other. Do you think that’d swing the vote? The timeline is effectively the centerpiece of Facebook. It’s where you see the postings of your friends, and the people you follow. But like all the things listed above, it’s powered by an algorithm that was built in secrecy – one that users do not fully understand. There’s a stark difference between Twitter’s feed, and the Facebook timeline. The former shows you each post, from each person and page you’re following. The latter shows you a selection of posts, determined by a number of factors. But we trust it nonetheless. 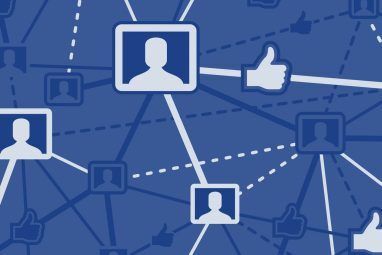 What if Facebook decided to use its control to limit which political groups and figures show up on your timeline? Going further, what if Facebook used the timeline to show you content from other political groups, either through advertising, or by hijacking the accounts of living (and dead. Seriously, it’s happened) users. Hypothetically speaking. Could that radically alter how you might vote? So, feel free to call me naive. I don’t think Google, Facebook or Microsoft have any ill will towards us all. I don’t think they’re evil, or want to subvert our democracies. Larry Page? I think he’s kinda likable. I’d love to go for a beer with Mark Zuckerberg and talk about Internet drones Facebook Is Bringing WiFi To The Masses With Drones Facebook Is Bringing WiFi To The Masses With Drones Almost two thirds of the world's population lack Internet access. Facebook founder Mark Zuckerberg seems eager to address this very real inequality with autonomous drones that will provide free Internet access. Read More . This piece was a thought experiment to explore the power that these tech companies hold. Simply by using Google and Facebook, we give them a degree of power over us, and our lives. Whether they abuse that or not is entirely up to them. 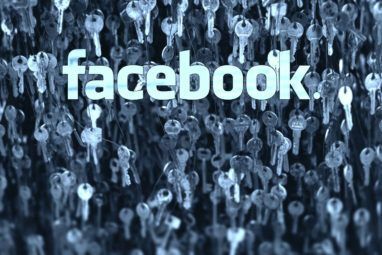 Do you trust Google and Facebook to not subvert democracy? Do you think they would? Tell me about it. Leave me a comment below, and we’ll chat. Explore more about: Facebook, Google, Microsoft, Politics. RIAA Finally Shuts Down Popular YouTube to MP3 ConverterHate Handwriting? Me Too. Here’s Why We Should Teach It Anyway. Political way is nothing but money and power. You can buy any politician if you have enough money. This is the way to form political directions. This is lobby isn't it? You can't see who really make decisions about you. They are stand behind politicians and big companies. "Here’s How Big Tech Could Subvert Democracy (If They Wanted To)"
It probably would not make any difference. Most voters do not have their own opinions about candidates/politicians. They either vote for any candidate that their party puts up or they rely on political pundits to tell them who to vote for. American voters are a bunch of sheep with the political "experts" and pundits acting as the sheep dogs that herd them. These are perfectly plausible, and there are undoubtedly other ways tech could be subverted for political ends. But with current campaign finance law why would any company run the risk of being found out overtly manipulating the electorate?